2005 – present: Scientific Coordinator, International Lung Cancer Consortium. 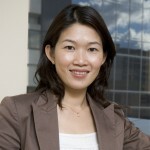 Dr. Hung’s current primary appointment is at the Lunenfeld-Tanenbaum Research Institute of the Sinai Health System as the Head of the Prosserman Centre for Population Health Research. She was recruited to Toronto in 2007 after an international search from the International Agency for Research on Cancer (IARC) in Lyon, France, where she was also appointed as a Research Faculty at the University of California at Berkeley. Dr. Hung has more than 15 years of research experiences in cancer epidemiology at the international level, and has conducted several multicenter case-control studies on lung, head and neck, kidney, pancreas and childhood cancer. Dr. Hung has a stellar record of publication in the international peer review journals particularly in the field of genetic and molecular epidemiology, including high impact journals such as Nature, Nature Genetics, the Journal of National Cancer Institute, and Human Genetics. She was awarded the Cancer Care Ontario Research Chair in Population Studies in 2008 and the Researcher Award from Ontario Ministry of Research and Innovation in 2013. Dr. Hung is the PI of several large-scale epidemiological projects on adult cancers, pediatric tumors and studies cross multiple cancer sites. She is a member of the Epidemiology Steering Committee member of Children’s Oncology Group, and was the Epidemiology and Clinical Working Group Chair for the GAME-ON (Genetic Associations and Mechanisms in Oncology) Network of Consortia of NCI. In 2018, Dr. Hung was awarded the prestigious Tier 1 Canada Research Chair in Integrative Molecular Epidemiology to recognize her international leadership in this field. Shen SY, Singhanai R, Fehringer G, Chakravarthy A, Roehrl MHA, Chadwick D, Zuzarte PC, Borgida A, Wang TT, Li T, Kis O, Zhao Z, Spreafico A, da Silva Medina T, Wang Y, Roulois D, Ettayebi I, Chen Z, Chow S, Murphy T, Arrudal A, O’Kane GM, Liu J, Mansour M, McPherson JD, O’Brien C, Leigh N, Bedard PL, Fleshner N, Liu G, Minden MD, Gallinger S, Goldenberg A, Pugh TJ, Hoffman MM, Bratman SV, Hung RJ*, DeCarvalho DD*. Highly sensitive tumor detection and classification using methylome analysis of plasma cell-free DNA. Nature. 2018. doi:10.1038/s41586-018-0703-0. Kachuri L, Saarela O, Bojesen SE, Davey Smith G, Liu G, Landi MT, Caporaso NE, Christiani DC, Johansson M, Panico S, Overvad K, Trichopoulou A, Vineis P, Scelo G, Zaridze D, Wu X, Albanes D, Diergaarde B, Lagiou P, Macfarlane GJ, Aldrich MC, Tardón A, Rennert G, Olshan AF, Weissler MC, Chen C, Goodman GE, Doherty JA, Ness AR, Bickeböller H, Wichmann HE, Risch A, Field JK, Teare MD, Kiemeney LA, van der Heijden EHFM, Carroll JC, Haugen A, Zienolddiny S, Skaug V, Wünsch-Filho V, Tajara EH, Ayoub Moysés R, Daumas Nunes F, Lam S, Eluf-Neto J, Lacko M, Peters WHM, Le Marchand L, Duell EJ, Andrew AS, Franceschi S, Schabath MB, Manjer J, Arnold S, Lazarus P, Mukeriya A, Swiatkowska B, Janout V, Holcatova I, Stojsic J, Mates D, Lissowska J, Boccia S, Lesseur C, Zong X, McKay JD, Brennan P, Amos CI, Hung RJ. Mendelian Randomization and mediation analysis of leukocyte telomere length and risk of lung and head and neck cancers. Int. J. Epidemiology, 2018 doi: 10.1093/ije/dyy140. McKay JD*, Hung RJ*, Han Y, Zong X, Carreras-Torres R, Christiani DC, Caporaso NE, Johansson M, Xiao X, Li Y, Byun J, Dunning A, Pooley KA, Qian DC, Ji X, Liu G, Timofeeva MN, Bojesen SE, Wu X, Le Marchand L, Albanes D, Bickeböller H, Aldrich MC, Bush WS, Tardon A, Rennert G, Teare MD, Field JK, Kiemeney LA, Lazarus P, Haugen A, Lam S, Schabath MB, Andrew AS, Shen H, Hong YC, Yuan JM, Bertazzi PA, Pesatori AC, Ye Y, Diao N, Su L, Zhang R, Brhane Y, Leighl N, Johansen JS, Mellemgaard A, Saliba W, Haiman CA, Wilkens LR, Fernandez-Somoano A, Fernandez-Tardon G, van der Heijden HFM, Kim JH, Dai J, Hu Z, Davies MPA, Marcus MW, Brunnström H, Manjer J, Melander O, Muller DC, Overvad K, Trichopoulou A, Tumino R, Doherty JA, Barnett MP, Chen C, Goodman GE, Cox A, Taylor F, Woll P, Brüske I, Wichmann HE, Manz J, Muley TR, Risch A, Rosenberger A, Grankvist K, Johansson M, Shepherd FA, Tsao MS, Arnold SM, Haura EB, Bolca C, Holcatova I, Janout V, Kontic M, Lissowska J, Mukeria A, Ognjanovic S, Orlowski TM, Scelo G, Swiatkowska B, Zaridze D, Bakke P, Skaug V, Zienolddiny S, Duell EJ, Butler LM, Koh WP, Gao YT, Houlston RS, McLaughlin J, Stevens VL, Joubert P, Lamontagne M, Nickle DC, Obeidat M, Timens W, Zhu B, Song L, Kachuri L, Artigas MS, Tobin MD, Wain LV; SpiroMeta Consortium, Rafnar T, Thorgeirsson TE, Reginsson GW, Stefansson K, Hancock DB, Bierut LJ, Spitz MR, Gaddis NC, Lutz SM, Gu F, Johnson EO, Kamal A, Pikielny C, Zhu D, Lindströem S, Jiang X, Tyndale RF, Chenevix-Trench G, Beesley J, Bossé Y, Chanock S, Brennan P, Landi MT, Amos CI. Large-scale association analysis identifies new lung cancer susceptibility loci and heterogeneity in genetic susceptibility across histological subtypes. Nat Genet. 2017 Jul;49(7):1126-1132. Brenner DR, Brennan P, Boffetta P, Amos C, Spitz M, Chen C, Goodman G, Wichmann E, Bickeboller H, Risch A, McLaughlin JR, Benhamou S, Lewinger JP, Witte JS, Chen G, Bull S, Hung RJ. Hierarchical modeling identifies novel lung cancer susceptibility variants in inflammation pathways among 10,140 cases and 11,012 controls. Humarn Genetics, in pess, 2013. Fehringer G, Liu G, Pintilie M, Sykes J, Cheng D, Liu X, Chen Z, Seymour L, Der SD, Shepherd FA, Tsao MS, Hung RJ. Association of the 15q25 and 5p15 lung cancer susceptibility regions with gene expression in lung tumor tissues. CEBP 21(7):1097-104, 2012. Rosenberger A, Bickeböller H, McCormack V, Brenner DR, Duell EJ, Tjønneland A, Friis S, Muscat JE, Yang P, Wichmann HE, Heinrich J, Szeszenia-Dabrowska N, Lissowska J, Zaridze D, Rudnai P, Fabianova E, Janout V, Bencko V, Brennan P, Mates D, Schwartz AG, Cote ML, Zhang ZF, Morgenstern H, Oh SS, Field JK, Raji O, McLaughlin JR, Wiencke J, Lemarchand L, Neri M, Bonassi S, Andrew AS, Lan Q, Hu W, Orlow I, Park BJ, Boffetta P, Hung RJ. Asthma and Lung Cancer Risk: A Systematic Investigation by the International Lung Cancer Consortium. Carcinogenesis 2012, 33(3):587-97. Cote ML, Liu M, Bonassi S, Neri M, Schwartz AG, Christiani DC, Spitz MR, Muscat JE, Rennert G, Andrew AS, Bencko V, Bickeböller H, Boffetta P, Brennan P, Brenner H, Duell EJ, Fabianova E, Field JK, Foretova L, Friis S, Harris CC, Holcatova I, Hong YC, Isla D, Janout V, Kiemeney LA, Kiyohara C, Lan Q, Lazarus P, Lissowska J, Le Marchand L, Mates D, Matsuo K, I. Mayordomo JI, McLaughlin JR, Morgenstern H, Müller H, Orlow I , Park BJ, Raji OY, Rudnai P, Seow A, Stucker I, Szeszenia-Dabrowska N, Teare MD, Tjønnelan A, Ugolini D, van der Heijden HFM, Wichmann E, Wiencke JK, Woll PJ, Yang P, Zaridze D, Zhang ZF, Etzel CJ, Hung RJ. Increased risk of lung cancer in individuals with a family history of the disease: A pooled analysis from the International Lung Cancer Consortium. European Journal of Cancer, 2012 48(13):1957-68. Fehringer G, Liu G, Briollais L, Brennan P, Amos CI, Spitz MR, Bickeböller H, Wichmann HE, Risch A. Hung RJ. Comparison of pathway analysis approaches using lung cancer GWAS data sets. PLoS ONE, 2012, 2012;7(2):e31816. Chu A, Heck JE, Ribeiro KR, Brennan P, Boffetta P, Buffler P, Hung RJ. Wilms tumor: A systematic review and meta–analysis. Pediatric and Perinatal Epidemiology, 2010 Sep;24(5):449-69. Wakefield J, De Vocht F, Hung RJ. Bayesian Mixture Modeling of Gene-Environment and Gene-Gene Interactions. Genetic Epidemiology. Genet Epidemiol. 2010 Jan;34(1):16-25. Hung RJ, Christiani,D.C., Risch,A., Popanda,O., Haugen,A., Zienolddiny,S., Benhamou,S., BOUCHARDY,C., Lan,Q., Spitz,M.R., Wichmann,H.E., Le Marchand,L., Vineis,P., Matullo,G., Kiyohara,C., Zhang,Z.F., Pezeshki,B., Harris,C., Mechanic,L., Seow,A., Ng,D.P.K., Szeszenia-Dabrowska,N., Zaridze,D., Lissowska,J., Rudnai,P., Fabianova,D., Mates,D., Foretova,L., Janout,V., Bencko,V., Caporaso,N., Chen,C., Duell,E.J., Goodman,G., Field,J.K., Houlston,R.S., Hong,Y.C., Landi,M.T., Lazarus,P., Muscat,J., McLaughlin,J., Schwartz,A.G., Shen,H., Stucker,I., Tajima,K., Matsuo,K., Thun,M., Yang,P., Wiencke,J., Andrew,A.S., Monnier,S., Boffetta,P., and Brennan,P. (2007) International Lung Cancer Consortium: Pooled analysis of sequence variants in DNA repair and cell cylce pathways. Cancer Epi.Biomarker Prev., 2008 Nov;17(11):3081-9. Hung RJ, Moore L, Boffetta P, Feng BJ, Toro J, Rothman N, Zaridze D, Navratilova M, Bencko V, Janout V, Kollarova H, Szeszenia-Dabrowska N, Mates D, Chow WH, Brennan P. Family History and the Risk of Kidney Cancer : A Multicenter Case-control Study in Central Europe. CEBP. 2007 Jun;16(6):1287-90. Hung RJ, Baragatti M, Thomas D, McKay J, Szeszenia-Dabrowska N , Zaridze D, Lissowska J, Rudnai P, Fabianova E, Mates D, Foretova L, Janout V, Bencko V, Chabrier A, Moullan N, Canzian F, Hall J, Boffetta P, Brennan P. Inherited Predisposition of Lung Cancer: A Hierarchical Modeling Approach to DNA repair and Cell Cycle Control Pathways. CEBP 2007;16(12):2736–44. Hung RJ, Boffetta P, Canzian F, Moullan N, Szeszenia-Dabrowska N, Zaridze D, Lissowska J, Rudnai P, Fabianova E, Mates D, Foretova L, Janout V, Bencko V, Chabrier A, Stefano Landi, Federica Gemignani , Hall J, Brennan P. Sequence variants in cell cycle control pathway, X-ray exposures and lung cancer risk: a multicenter case-control study in Central Europe. Cancer Research, 2006. 66(16):8280-6. Hung RJ, Brennan P, Canzian F, Szeszenia-Dabrowska N, Zaridze D, Lissowska J, Rudnai P, Fabianova E, Mates D, Foretova L, Janout V, Bencko V, Chabrier A, Borel S, Hall J, Boffetta P. Large-Scale Investigation of Base Excision Repair Genetic Polymorphisms and Lung Cancer Risk in a Multicenter Study. JNCI 2005. 97(8): 567-576. Hung RJ, van der Hel O, Tavtigian ST, Bren nan P, Boffetta P, Hashibe M. Perspectives on the Molecular Epidemiology of Aerodigestive Tract Cancers. Mutation Research 2005. 592(1-2):102-18. Hung RJ, Hall J, Brennan P, Boffetta P. Genetic polymorphisms in base excision repair pathways and cancer risk: a HuGE disease association review. American J. Epidemiology 2005. 162(10):925-42. Hung RJ, van der Hel O, Tavtigian ST, Brennan P, Boffetta P, Hashibe M. Perspectives on the Molecular Epidemiology of Aerodigestive Tract Cancers. Mutation Research 2005. 592(1-2):102-18. Hung RJ, Brennan P, Malaveille C, Porru S, Donato F, Boffetta P, Witte JS. Using Hierarchical Modeling in Genetic Association Studies with Multiple Markers: Application to a Case-Control Study on Bladder Cancer. CEBP 2004; 13(6):1013-1021.